I fell in love with the photo, above, which was on the Internet. 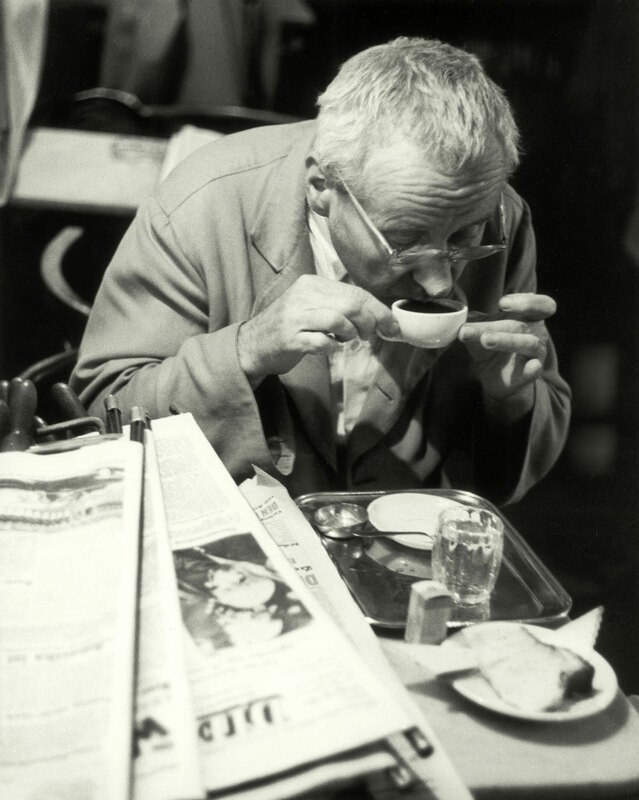 Sadly, there was no photographer byline, but the caption did say the gentleman pictured was a regular at Café Hawelka in Vienna, Austria during the 1950s. In black and white and slightly out of focus, the image captures the hurly burly of a crowded coffee house. The image also struck a chord with me because my grandparents were from that part of Austria. I could be looking at a distant cousin sipping his espresso. Doing a bit of searching I learned more about this iconic coffee house and its legendary owners. 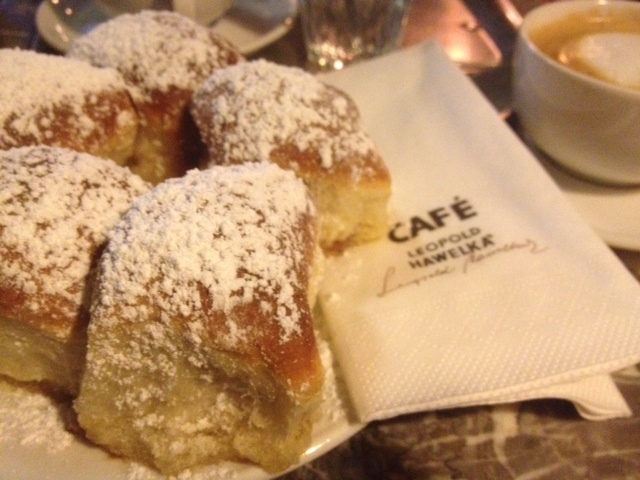 Leopold Hawelka came from Bohemia and lived to be 100 years old and up until his passing in 2011, he enjoyed daily visits to the traditional Viennese café he founded in 1939. 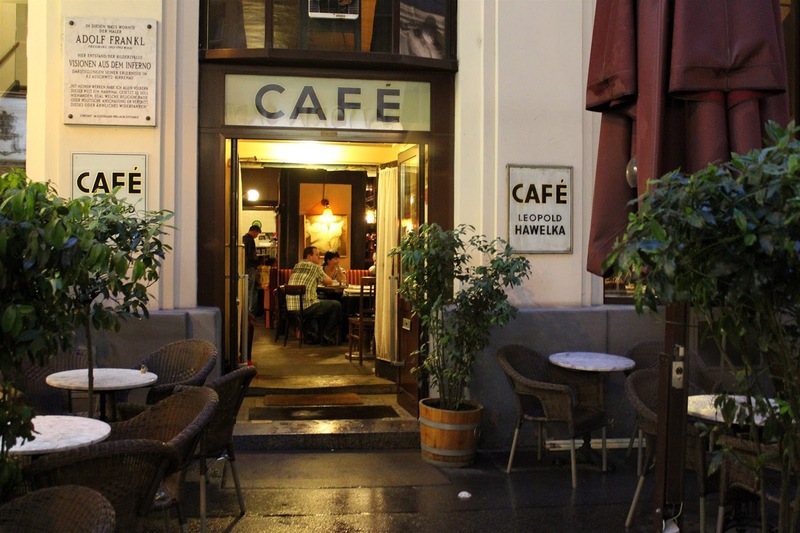 Located at Dorotheergasse 6 in the Innere Stadt, the first district of Vienna, Austria, Café Hawelka was at its peak during the late 1950s through the end of the 1970s. To this day the café remains a popular flashpoint for artists, writers, neighbors, visitors and coffee aficionados. 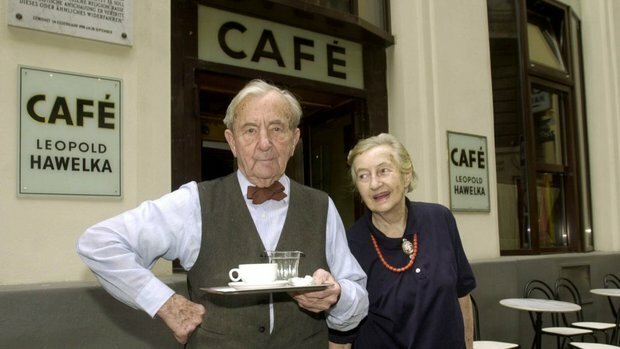 Josefine Hawelka died on March 22, 2005 after managing the café for 66 years with her husband. She had baked the place's specialty, its Buchteln desserts (which are still made by Günther Hawelka, son of Josefine and Leopold according to the old recipe). For a Buchteln recipe click here.